An accomplished leader in ethical supply chain management with experience in a wide range of industries including forestry, public health care, government, and academia, Larry Berglund is the 2016 SCMA Fellow. This is the highest honour that the association can bestow upon its members, and fellows are recognized for demonstrating the highest excellence in supply chain management and dedication to promoting the profession. Throughout his career as a supply chain professional, Larry has worked as an educator and mentor, provided pro bono advice and advocacy for local not-for-profit groups, and published numerous articles and books on supply chain-related subjects. 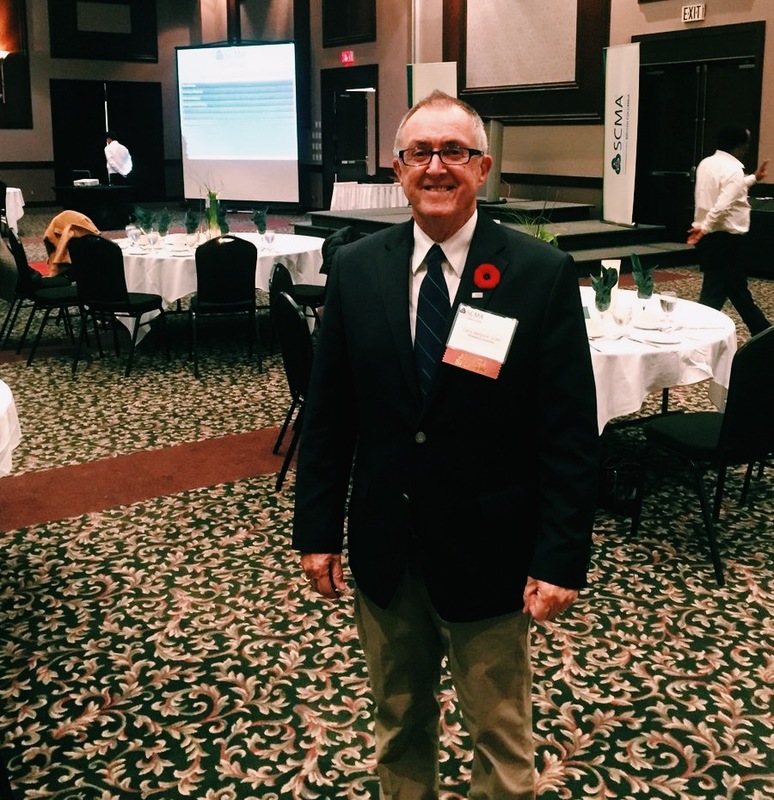 He was directly involved in drafting and implementing the first sustainable procurement policy for a municipality in Canada and has been at the forefront of promoting ethics within supply chain management across Canada, including a leadership role in the recent update of SCMA’s Code of Ethics. With Presentations Plus Training & Consulting Inc., Larry provides strategic management training and expertise in negotiations skills and corporate social responsibility. “Larry has worked across the supply chain profession in a variety of roles and has demonstrated selfless dedication to mentoring non-profit organizations and individuals in supply chain management. Larry has been a great champion for the supply chain profession and has been one of the country’s leaders in underlining the important role the profession plays in driving ethics and corporate social responsibility within all kinds of organizations.” Cheryl Farrow, SCMA.